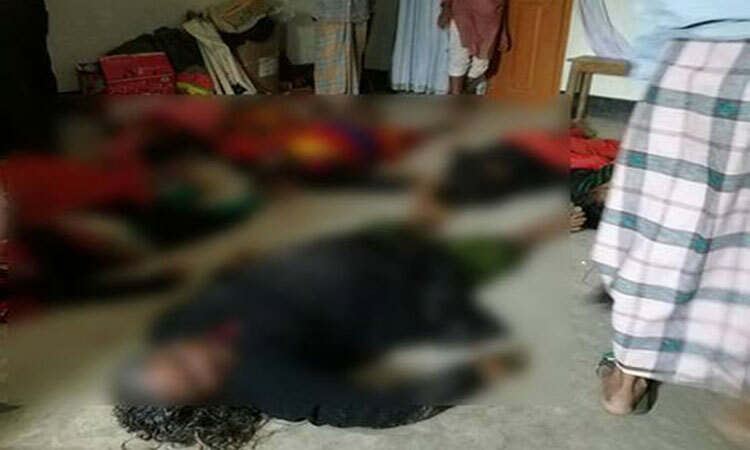 A case has been filed in connection with the stampede that killed 10 women while collecting zakat and iftar items at Satkania upazila of the district last Monday. Mohammad Islam, husband of victim Hasina Akhter of Khagria union, on Tuesday filed the case with Satkania thana accusing Managing Director of Kabir Steel and Re-Rolling Mills (KSRM) Mohammad Shahjahan and several others unidentified persons, said Satkania Rafiqul Islam, officer-in-charge of Satkhania thana. At least 10 women mostly aged died and nearly 50 others reportedly received injuries in stampede and 'heatstroke' while collecting zakat and iftar items, distributed by the management of KSRM at its owner's native village Noula under Satkania upazila of the district. The incident took place as several thousands of people gathered at a madrasa ground in Nalua Union's Gatiadanga area for taking essentials ahead of the holy month Ramadan, said police and district administration officials.